As President Obama completes his second term at office as President of the United States of America, the curtains are up for presidential bids for the office in 2016. The campaign is now open to the aspirants to try and register in the minds of Americans their eligibility and clinch the most coveted office in the world. One of the top contenders for the post is a lady who aspires to be the first ever women president of the arguably most powerful nation on earth. Hillary Clinton, a known name in every household of America, has over the years donned many a hat right from being the first lady as former President Bill Clinton’s wife, to being one of the America’s most elite socialites; a partner to husband Bill Clinton’s charity; US Secretary of State in President Obama’s first term; and now, the most haloed bid as the first woman to be at the helm of White House. India-US relationship saw a new phase of growth and increased understanding during President Clinton’s second term and Ms Clinton witnessed it as the first lady. The two nations reached a deeper understanding of mutual cooperation in trade, anti terrorism crusades and nuclear partnerships during President Obama’s tenure. USINPAC has witnessed and led the bi lateral exchange of ideas and agreements during the entire period under the leadership of its Chairman Sanjay Puri, an authority on US-India relations. Mr Sanjay Puri, an eminent speaker on US-India issues and an evangelist for greater exchange across education, immigration, technology and global strategic partnership between two countries spoke on Headlines Today on Ms Clinton’s candidature and what he expects from it to bolster the ties between two countries. 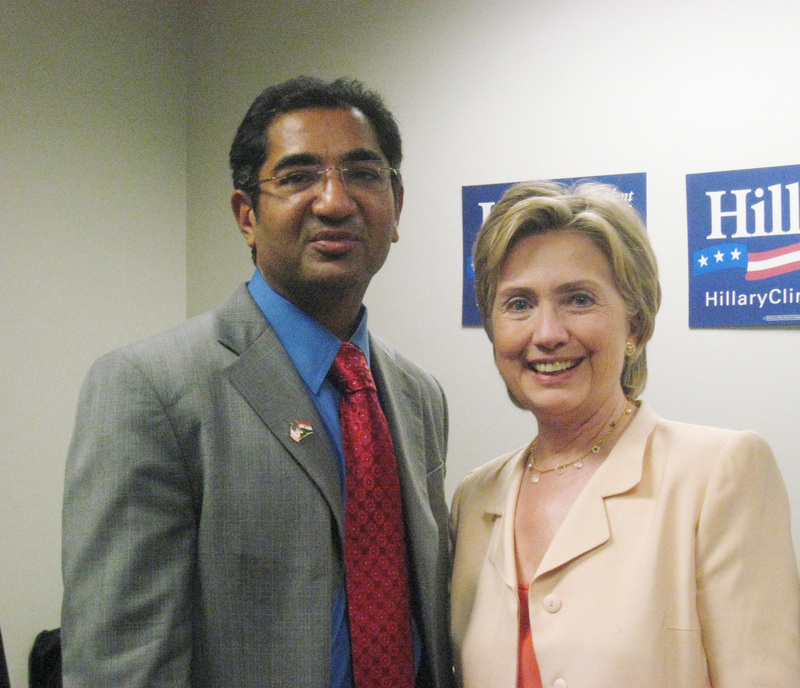 Mr Puri feels that that Hillary Clinton has an advantage as she will have no primary opposition so she does not have to move too far to the left unlike her Republican opponents who will have to move very far to the right and then move to the center for the general election. She can attack her presumptive Republican opponents while her Republican opponents are attacking each other, he added. Mr Puri also shed light on the fact that she can start basically raising money for the General election while her Republican opponents are spending money for the primary and will need to raise money again for the General election after the primary election, adding to her list of advantages. He also feels that Ms Clinton will utilize her knowledge of the shifting demographics of the US by building a coalition of women + minorities to her benefit. She is running a different campaign this time unlike last time with a more low key grass roots approach, he concluded. Keeping up with the Changing Times! The question everyone seems to be asking is when would we reach a stage when the U.S. India relationship would begin afresh? 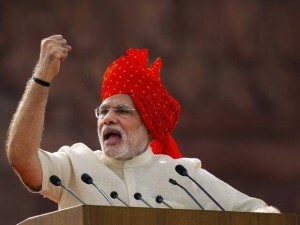 But then again, with a gallant promise made by Prime Minister Modi to open the economy to more private investment than ever, in the process improve the GDP growth rate, create jobs for the deservedly young India and hasten the process of India’s defense modernization, this is probably the right time for relationship between U.S. and India to witness a surge. 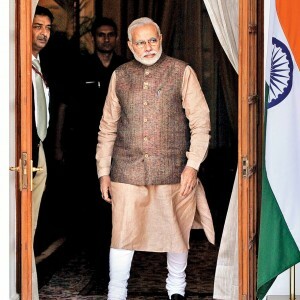 If Modi realizes his vision, it will not just open up countless doors for a healthy India-U.S. co operation on numerous issues, but it will also bring New Delhi and Washington on a similar platform where in they will share similar objectives involving countering terrorism, promoting open and free seaway trade through the Indo-Pacific region among other issues. It was during his recent visit to India that U.S. Secretary of State John Kerry made it explicitly clear that when Modi visits US in September, he is all set to receive a thunderous reception. The joint statement which was issued after the fifth round of the strategic dialogue talks talk about an expansive and elaborate agenda which will take the relationship between the two countries to another level. Some of the agendas which were discussed include agendas like before the year ends, they are committed to hold a meeting of the Counter-Terrorism Joint Working Group, ministerial-level Homeland Security and Trade Policy Forum dialogues, the CEO’s Forum, as well as the next round of the High Technology Cooperation Group. 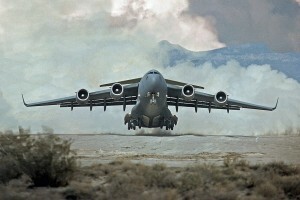 The U.S. also will participate for the first time in India’s Annual Technology Summit in November. This as is evident is a sign of changing times but then practically speaking, it is all about keeping pace with times and not letting go the momentum for transformations to take place. Then again the WTO incident sticks out like a sore thumb. Although India’s position would have been disappointing given the situation, the step it took eventually was extremely disturbing coming from the government which has been going to great lengths to project the country as a dynamic economy encouraging global trade and investment. Moving forward, the BJP government will need to show it is genuinely committed to bolstering the private sector and demonstrating leadership in the global trade arena. Modi’s track record of making Gujarat one of India’s most investor friendly states gives confidence that he will prioritize reviving the economy and encouraging private-sector growth. Although changes are not going to happen overnight, the signs are there. The commitment to a pro-business agenda sure sounds promising. 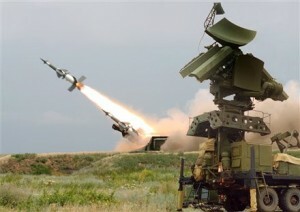 One area where the relationship is all set to turn a new leaf is the defense sector. As the BJP’s election manifesto spoke about the need to modernize India’s armed forces and to galvanize the defense purchases and promise has been kept as the government in one progressive turnaround, raised the foreign direct investment cap in the defense sector to 49 percent. And not just that, the defense spending in the budget has been raised to 12%. This will definitely motivate U.S. to invest in India and will in turn help them develop India’s defense industrial base. U.S. Defense Secretary Chuck Hagel during his recent visit to India spoke about dozens of proposals which India can definitely think about with regard to co-production of defense items and transfer of technology. Co-producing the Javelin anti-tank missile is one of the most important proposals which India can give a serious thought to. Over the last decade, U.S. has cumulatively signed nearly $13 billion in defense contracts and that includes top line deals of military transport aircraft and helicopters. But then the setbacks have neutralized the effect somehow. When India decided to down select two U.S. companies from a bidding process to fill its requirement for 126 fighter aircrafts, it was quite a difficult pill to swallow for U.S. On the flipside, U.S. has been trying for years to convince India to sign U.S. defense technology agreements so that they can export the best of their technology. 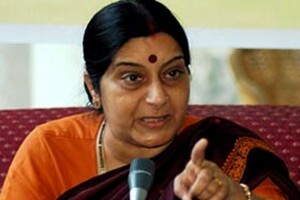 But India’s reluctance is not doing any favors to the whole process. 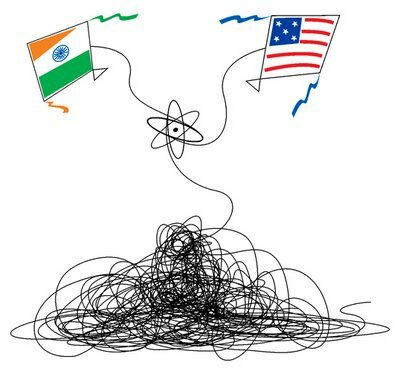 Over the past half decade, the nuclear issue has been a cause of concern between India and U.S. When the BJP was the opposition party, it vehemently opposed the nuclear deal and pushed for liability legislation that complicated matters further. Now with the BJP in power, the U.S. must kick start the attempt to resolve the issue if it has to invest in India’s civil nuclear sector. U.S. must also insist on India’s membership in the major multilateral nonproliferation groupings, such as the Nuclear Suppliers Group and the Missile Technology Control Regime. The BJP’s coming into power is all set to re energize U.S. India ties and progress on the areas of defense, security, trade and counter terrorism co operation. The U.S. India relationship is on the brink of a fabulous new turn and progress is a foregone conclusion. It is just a matter of keeping up with the changing times. That is because more than the quantity, it is the quality of the Indo-U.S. dialogues which will make the ultimate difference and both the countries should look forward to cementing their relationship in a concrete manner while managing the day to day issues which are bound to come up at times. 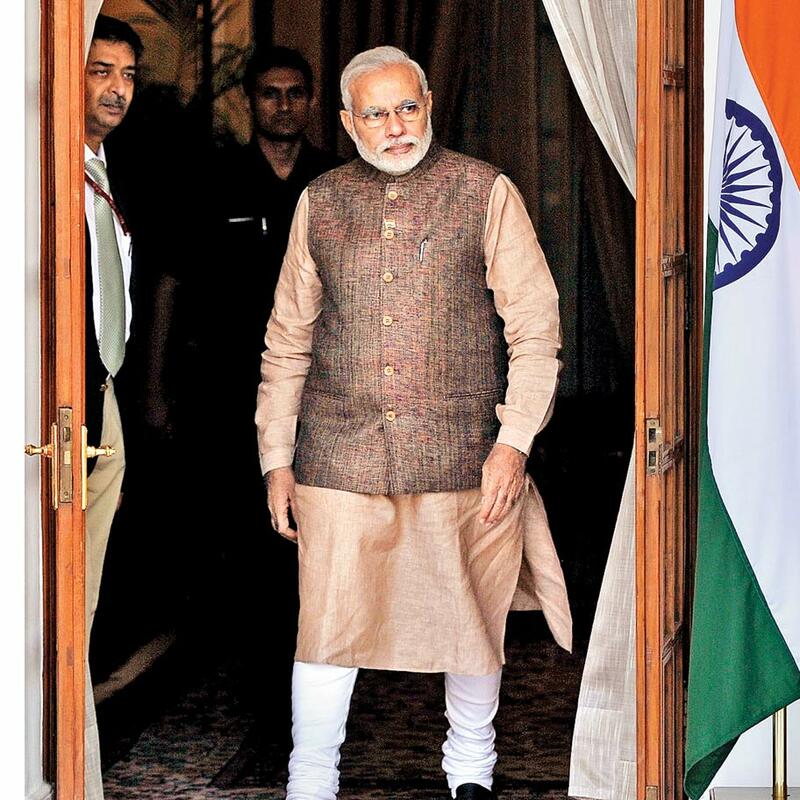 India is well on its way to a makeover, on the cusp of transformation and leading the charge is none other than the Prime Minister himself, Narendra Modi. In his recent Independence Day speech, Modi announced his vision for a future driven by innovation and aimed at improving the lives of all Indians at large. To achieve his dream of a “Digital India”, his government plans to build the required infrastructure which will ensure that all Indians have access to essential public services and information. A dream which few have dreamt before, leave alone fulfillment. Then again it is something to look forward to and surely an inspiring signal to his constituents and international partners. After all, innovation is currently the buzzword and extremely necessary for the growth of any nation in the 21st century and for a country as diverse as India, it is something which is long overdue. By embracing the humungous potential that technology has to offer, the people of India can connect and unite like never before. From improving the overall access to education and exploring fresh perspectives on the same to increasing the country’s electronic manufacturing capabilities, so that even those living in the far remote expanses of rural India could benefit. The Obama Administration recently praised Modi’s approach and quickly highlighted the opportunities for collaboration. In comments at the New York Foreign Press Center, U.S. Assistant Secretary of State for South and Central Asia Nisha Biswal said, “We have a pretty ambitious roadmap and workload over the next six weeks and we look forward to a very substantive and consequential visit for Prime Minister (Modi) and look forward to being able to really put a great deal of meat on the bones in terms of this very important relationship that the President has characterized as a defining partnership for the US in the 21st century. This is a relationship that carries a great deal of importance and meaning to the US and is at a critical moment of opportunity and we want to make sure we work very closely with our counterparts in India in realizing that opportunity”. Recently, India and the US came together to discuss issues in the Strategic Dialogue Meet that was chaired by US Secretary of State John Kerry and External Affairs Minister Sushma Swaraj in New Delhi on August 1.The dialogue focused primarily on strengthening cooperation in economic opportunity, energy security, homeland security, education, space and vocational training. ”These are all areas where we are looking to see some concrete announcements. I don’t have that to give to you right now but that is what the homework assignment has been for the two sides to be working on over the next six weeks,” Biswal said referring to the Strategic Dialogue Meet. Coming back to Modi’s dream of a Digital India, it sure is a grand vision which would take some doing to even embark on its first baby steps and going by the last few months, there’s been more talk than action. As a country, India maintains discriminatory industrial policies that are stopping U.S. exports of the very information and communication technology products that Modi will need to realize his Digital India dream. Widespread copyright piracy and negligent protection of intellectual property rights in India are discouraging innovation and investment and instead are resulting in more brain drain than ever. While most of the developing countries are opening up their markets and are in the process of introducing the kinds of legal and economic reforms which are necessary to build and sustain a modern digital economy, India is falling further behind rather than keeping pace with them. In the last one year itself, India has slipped ten places in the global innovation index and now ranks a disappointing 76th in the world. According to the 2014 World Economic Forum’s Global Enabling Trade Report, India’s trading regime ranks 96th out of 132 countries in terms of enabling trade. Not the ideal figures when we talk of a nation thinking digital. These are early days for the Modi government, and manufacturers remain optimistic that positive progress can be achieved and a fruitful bilateral commercial relationship would be an ideal beginning. If India’s new government is serious about taking the actions necessary to achieve their vision, then America is more than ready to work with them. As the Modi government tries to boost up the investment quotient in infrastructure, Prime Minister Narendra Modi himself is paying special attention to make his foreign policy more attuned to the demands for the same by developing a state wise focus approach which will promote greater engagement between Indian states and foreign countries rather on a country to country basis. 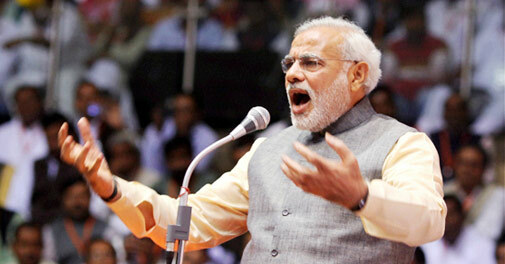 This he believes will help the country immensely in the longer run. Under this new focus, the foreign ministry will actively facilitate attempts by states to seek investments in infrastructure from abroad and at the same time encourage them to engage with relevant countries for developing business and cultural links and thus boost the state economy as a whole. This new initiative was unveiled in Singapore by Sushma Swaraj, who is currently the Foreign Minister and she clearly listed state focus as one of the ways to promote ties with lot of countries including Singapore. To continue the same initiative, West Bengal Chief Minister Mamata Banerjee, Rajasthan Chief Minister Vasundhara Raje, Telengana Chief Minister K Chandrashekar Rao and their Andhra Pradesh counterpart Chandrababu Naidu later this month will also visit Singapore to throw more emphasis and spotlight on this initiative. It has never been a secret that Modi has always wanted to overhaul the Ministry of External Affairs (MEA) even before he became PM and this may very well be his first step towards achieving that goal by asking the ministry to work in tandem with states over economic issues. When he had addressed a gathering of traders in Mumbai a few months before becoming the Prime Minister, he had said that the main purpose of overseas mission was to facilitate trade and business and not restricted to sending mundane dispatches about host countries. The state focus initiative, which is now a very important part of foreign policy, is a pointer to states participating actively in economic diplomacy. In Singapore, Swaraj shared a vision to build India-Singapore ties on what she described as a 5 S plank – scale up trade and investments, speed up connectivity, smart cities with focus on urban development and water management, skill development and state focus to promote engagement with Indian states. “We look forward to Singapore companies to speed up connectivity and infrastructure projects in India, particularly, along the Delhi-Mumbai Industrial Corridor (DMIC), the Chennai-Bangalore Industrial Corridor and the North-East,” said Swaraj, adding that Singapore could develop a virtual city or a “”little Singapore” somewhere along the corridor. Modi’s exemplary vision for 100 smart cities, as outlined in the annual budget, is also emerging as a major thrust area for the foreign ministry which is seeking expertise from abroad for implementing the humungous proposal. The fact remains that not just Singapore, but a lot of other countries would be ideal role models for India. In fact, the advantage of having so many states in India and each state being unique in its topography and offerings can definitely give this initiative the required fillip. Larger countries like US, China and UK would be ideal countries to look up to just like India is considering Singapore. After all, when the vision is path breaking, then with the right implementation, the results sure should be nothing short of phenomenal. A new possibility awaits and newer collaborations are all set to spell a boom in the India US trade relations. 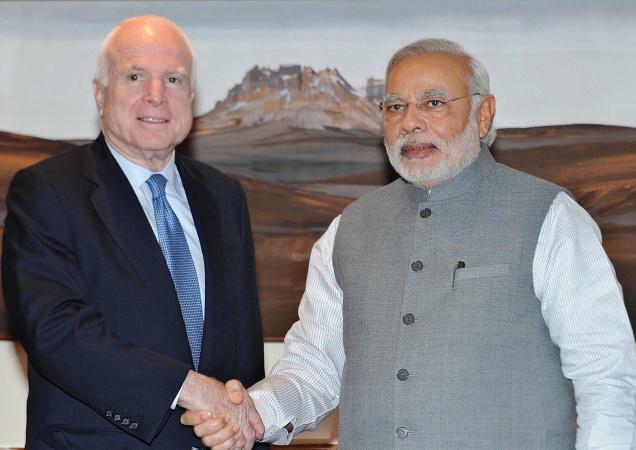 The relationship between India and the United States is on the threshold of a new resurgence. Newer opportunities are knocking at the doorsteps of both the countries and with Narendra Modi all set to visit US next month, there could not be a more opportune time to take this relationship to the next level. The recent visit of US Secretary of State John Kerry and Secretary of Commerce Penny Pritzker to India could not have come at a more crucial juncture. Their meetings with various dignitaries, including Indian Prime Minister Narendra Modi, reinforced the need to strengthen the relationship between the two countries, in the wake of India walking out of the WTO. The issue of Energy security is critical for both the US and India. 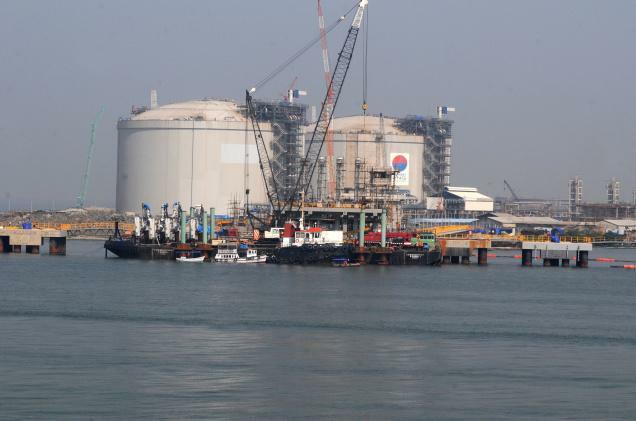 As a country US is producing more fuel than it can ever use, but the refusal to export the same to India is hurting the trade relations between the two countries. For US, it would ensure that thousands of jobs are created and it would boost the economy several notches higher and for India it would mean an uninterrupted supply of clean energy. Why this win-win situation for both US and India is still pending and has not been implemented is beyond comprehension. Apart from that, defense development between the two countries is the need of the hour and both US and India must seize every opportunity to collaborate on defense and not let other factors restrict the growth between the two nations. The recent visit of Defense Secretary Chuck Hagel to India was a step in that direction. Hagel has left India with few concrete agreements and he acknowledges the fact that the world’s oldest and the world’s largest democracy must be results oriented and do more to transform the defense co operation between both the nations from just buying and selling tradeoffs to the next level of co production and co development. In the near future, The US is hoping to partner with India as it modernizes its military, but at the same time Indian leaders are more interested in co-development opportunities than in simply buying American-made weapons. The new initiative brought to the forefront by Hagel includes more than a dozen proposals that would transfer technology and production expertise to India. It includes a plan for the US and India to co-produce and co-develop, the next upgrade of the Javelin anti-tank missile which would be cheaper, lighter and more capable. The development initiative in other words is part of a larger picture which is America’s attempt to improve what has often been a shaky relationship with India, which can turn out to be one of their most prominent allies in Asia.